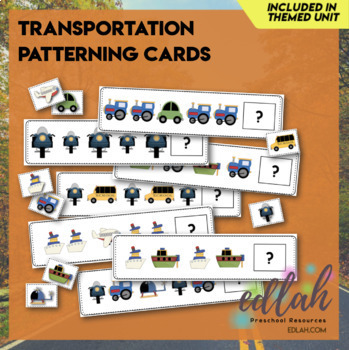 Your students will enjoy showing you their patterning skills with these cute Transportation patterning cards. Includes 7 different pattern cards and 8 answer cards (full color). Now available in a black & white version or sold as part of a discounted bundle if you would like both versions.